There will be developments in a matter of months, the newly appointed FSCA vows. Newly appointed director for investigations and enforcement at the Financial Sector Conduct Authority (FSCA) Brandon Topham told journalists in Cape Town on Monday that “the next two months will be interesting” in terms of the regulator’s investigations into Steinhoff. At a media roundtable, Topham indicated that announcements will be made soon regarding charges against the company or individuals associated with it. Specifically these relate to one count of insider trading and one of publishing false and misleading financial statements. Other charges may well follow. Significantly, Topham indicated that these charges are not dependent on any findings that may be made in the course of the independent forensic investigation being conducted by PwC. These statements were in response to speculation that Steinhoff may not release the full PwC report when it is finalised. It was meant to be completed by the end of 2018, but has since been delayed twice. This has led many to wonder if it will ever be fully aired. However Topham indicated that while the PwC report was important, any action by the FSCA was not dependent on its findings. Apart from the expense involved, PwC’s investigation does have specific advantages. The FSCA was however not waiting specifically for it to come out. 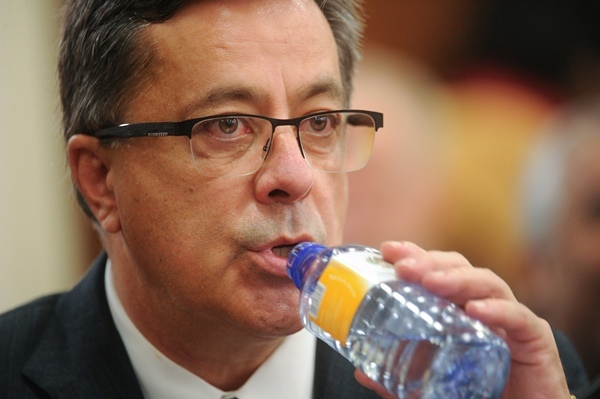 He added that the Steinhoff board had offered the regulator its full cooperation to date. Topham is also not concerned about Steinhoff burying the report as it is in the company’s interests to continue to cooperate – the size of any fine or administrative levy can be reduced based on the level of cooperation given to the FSCA’s regulators. If, however, that is not enough incentive, the regulator has powers to demand to see any document it deems relevant to an investigation. “We will get the information we need, either voluntarily or by exercising the powers available,” he said. Regardless of the PwC investigation, however, he assured journalists that the FSCA would be announcing some of its own findings in the coming weeks.